Easy to carry. Minimalist design allows you to store and transport the Roamer P in a tiny bag. Compatible with IKS3000. 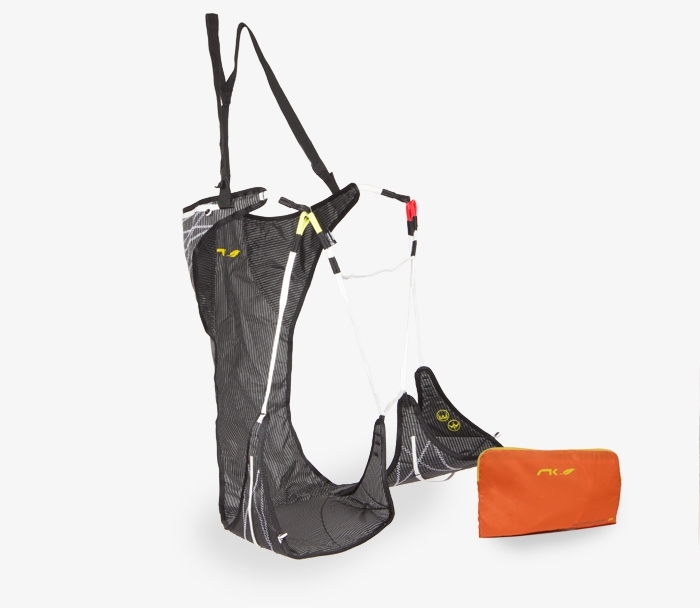 This light connection system between the harness and Niviuk risers allows you to replace traditional carabiners and maillons; reducing the weight of the connect equipment by more than 80% - with the same safety guarantees. *To give you the choice, connectors are not included with the Roamer P. You will need to purchase the ones you want. The Roamer P was mainly designed for use with light or ultralight wings like the Niviuk Skin 2 and Skin 2 P single surface gliders, for example.